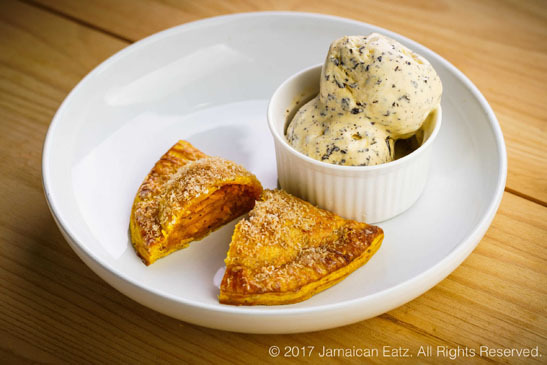 An apple strudel inspired pie filled with fresh spiced apple chunks and raisins inside our Jamaican rum infused golden pastry topped with a light glaze and sugar crumble. 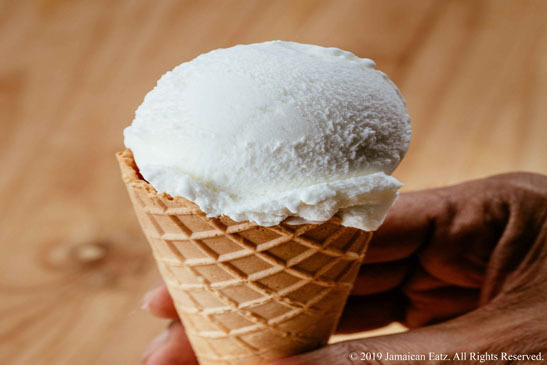 Premium Madagascan vanilla bean ice cream rich in taste. 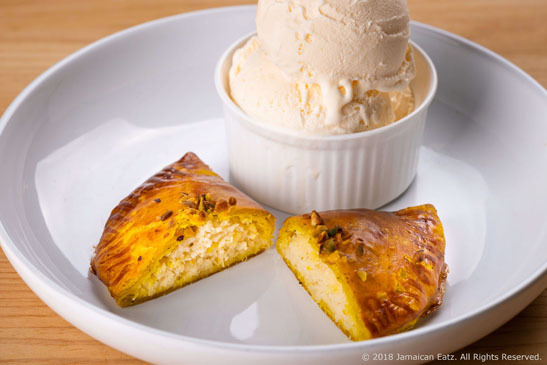 Premium shredded coconut with fresh pineapple chucks placed inside our flaky and buttery Jamaican pastry topped with crushed pistachio nuts. 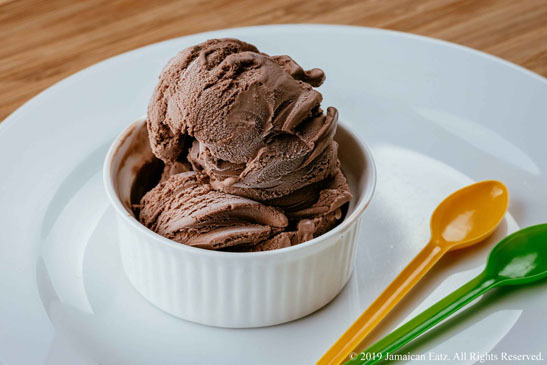 Exquisite 72% Belgian Chocolate ice cream with an amazingly smooth texture. 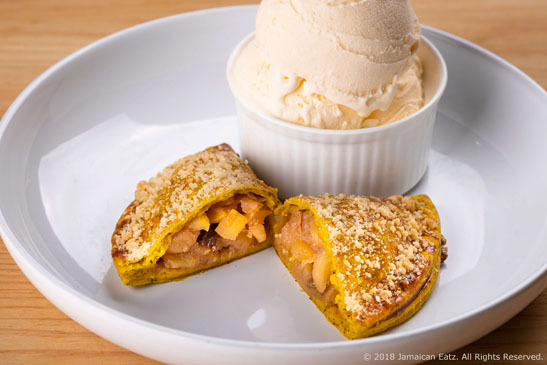 Warm creamy sweet potato with a hint of cinnamon and complex spices inside a flaky and buttery pastry topped with a light glaze and fresh coconut sprinkles. 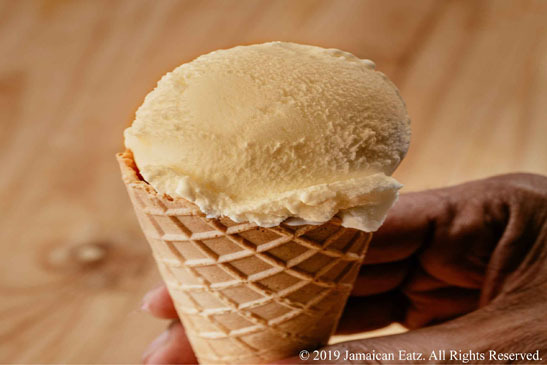 It’s delicious with vanilla ice cream or coffee! High quality French salted Caramel Ice Cream with bits of caramel chucks. 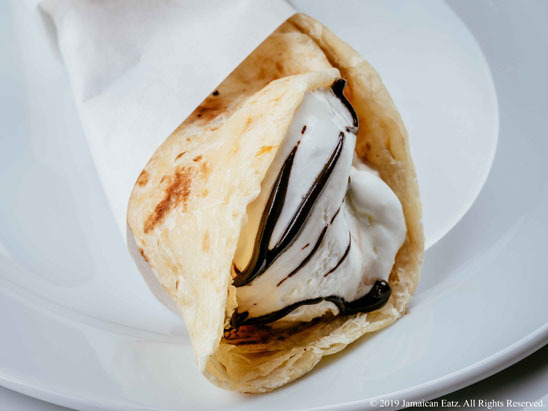 Your choice of premium ice cream wrapped in our warm and buttery roti pastry topped with rich chocolate or caramel syrup. 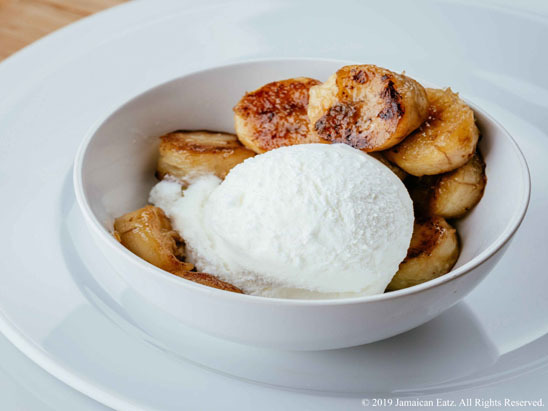 Delicious ice cream with warm golden caramelized sweet bananas. 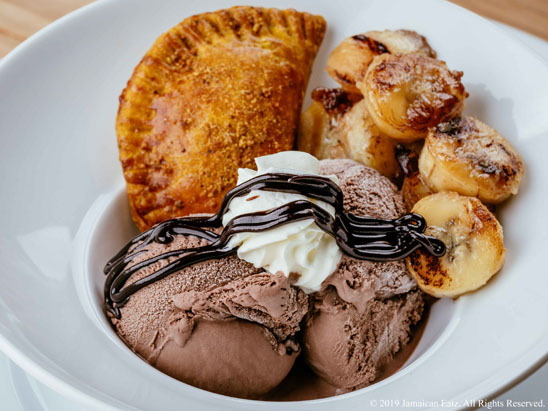 Indulge in our signature dessert; 2 scoops of ice cream, 1 mini apple rum raisin or pina colada pie, sweet bananas, whipped cream, chocolate or caramel syrup.